Dan Padavona’s bestselling dark horror books are now available in dozens of electronic formats, including Kindle, Nook, Apple iBooks, Kobo, and more. Storberry, an Amazon bestseller in Horror and Occult, was the first of Padavona’s novels to hit Kobo and Nook in early May. The Face of Midnight quickly followed, along with Quilt, Dark Vanishings, Crawlspace, One Autumn in Kane Grove, and more. Now when readers click on Padavona’s horror novels, they will see a myriad of store choices, as seen below. 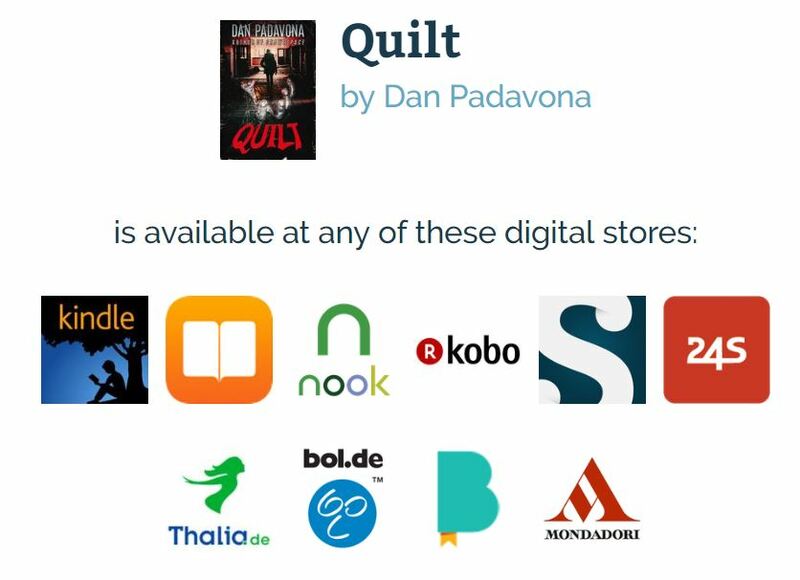 Padavona credits Draft2Digital for supporting independent horror authors and making the transition from Amazon exclusivity easier. Besides the forthcoming anthologies, Padavona’s stories are coming to additional formats, including audiobooks. Storberry and Crawlspace are currently available through Audible, iTunes, and Amazon. Severity, The Face of Midnight, and Quilt are in production and scheduled for mid-summer audiobook releases.